In a recent interview with Rolling Stone magazine titled "Confessions of a Neurotic Teen Idol," 20-year-old Canadian pop sensation Shawn Mendes got personal about his insecurities and his feelings about his fame. In order to help quiet his racing mind, he shared three rules he follows religiously. He promised himself he will go to the gym every day, take two vocal lessons per day, and never say no to taking selfies with fans. The singer also admitted that when he finds himself getting in his own head, going on stage and performing for crowds of people who love his music makes him feel better. The interview is raw and authentic and serves as a powerful reminder that despite popular opinion, celebrities are not immune to having insecurities and fears. Now that he has found success and emotional support in writing his truth into his music, there is no telling what he is musically capable of in the future. 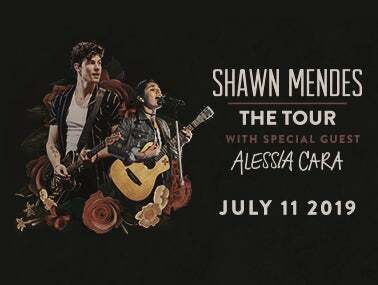 See Mendes right here at Golden 1 Center when he brings "Shawn Mendes: The Tour" to Sacramento on July 11, 2019!